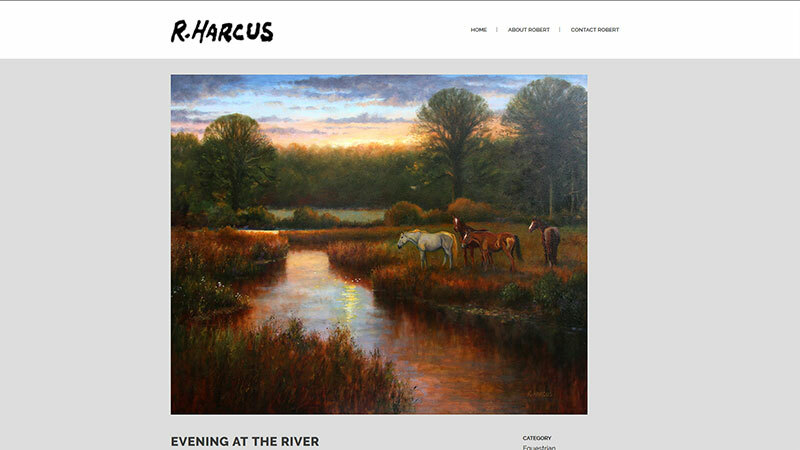 Robert approached us to do a website for his art portfolio. Robert is a highly respected and award winning artist being featured in many exhibitions and winning medals all around the world. 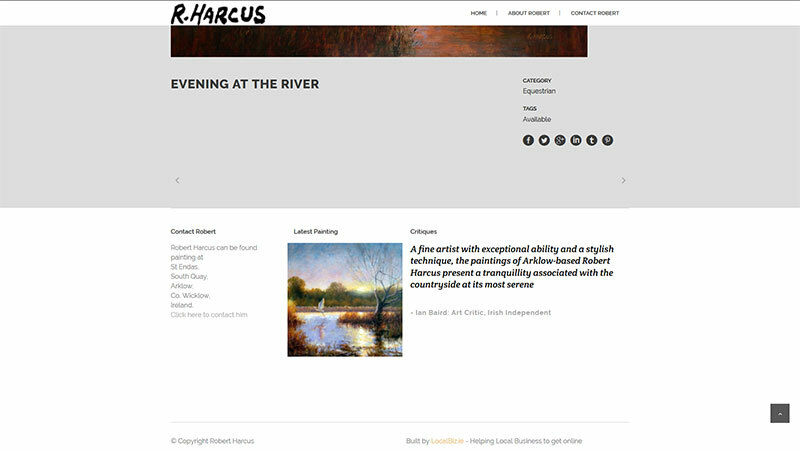 Robert wanted a simple website that clearly showed his paintings. 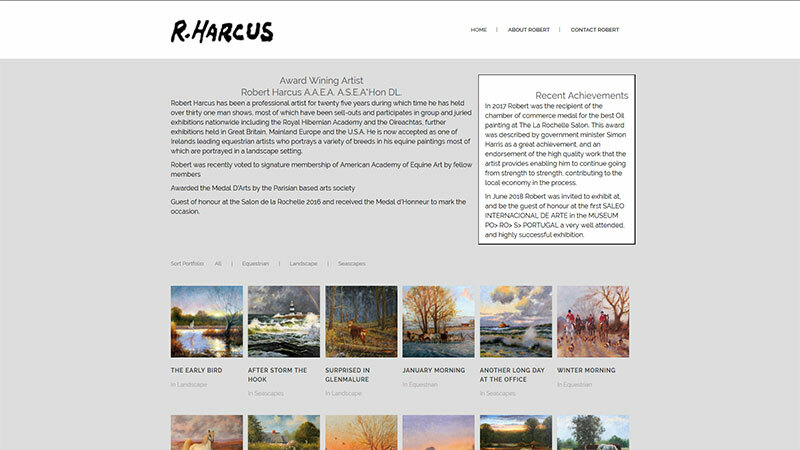 We chose a light grey background for the main body of the site and went with showing his painting in a portfolio on the home page. The grey allowed all of his paintings to stand out no matter their colours. When you click on a image, you are taken to a page for that image where it is featured full size in the center of the screen with a responsive design so it fits into whatever screen size a user is viewing it on. Featured on each page is the category for the painting as well as social sharing buttons.